AUSTIN WAYNE PRICE* (Matthew) is thrilled to be making his Infinity debut with this incredible show, telling this iconic story. 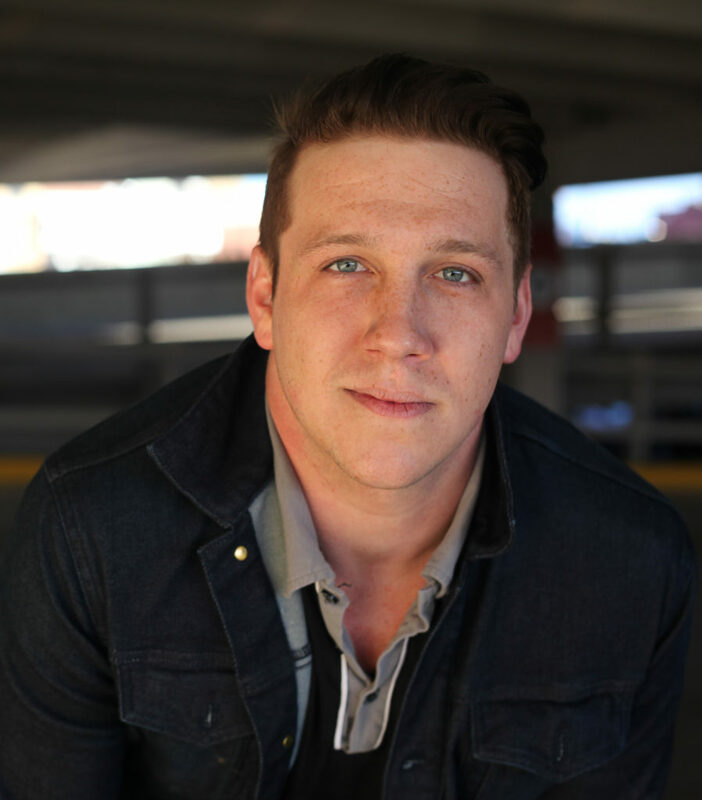 He is a Kentucky native, raised in the Tennessee Plateau, where he discovered his love for music and theatre. Regional credits include: RING OF FIRE (feat. Kellye Cash), ALL SHOOK UP, THE BUDDY HOLLY STORY, BIG RIVER, RAGTIME, WEST SIDE STORY. Many thanks to: Binder Casting, Alan & Anna Ostroff, The Man Upstairs, my beautiful girlfriend who is my is my strength and guiding light, the CASH family for your friendship and support, and to Johnny himself-thank you for helping me know that there is always a light in the darkest night. Proud member of Actor's Equity. RHYS SCHEIBE (Spirit/Acting Intern) Infinity Theatre debut! Past credits include NORMATIVITY (Philadelphia Plays & Players), GUYS AND DOLLS, LIZZIE STRANTON, THE SPITFIRE GRILL, MERRILY WE ROLL ALONG, and THE WORLD GOES ‘ROUND (Emerson Stage). Emerson College, BFA Musical Theatre ’17. Much thanks to the Infinity team, and love to Mom, Dad, Caroline, Sam, and Renee. Enjoy the show! SOLON SNIDER (Assistant Music Director/Music Intern) is a rising senior double majoring in Music and Theatre Studies at Yale University. As a composer/arranger, he has worked on music for the concert hall, television, stage, short film, and video games. Recent credits include music/lyrics for an original musical, CUPIDITY, which premiered at Yale University in April of 2016, a score for Storyboard Interactive's latest video game, a commission for the PRISM saxophone quartet, and an a cappella arrangement/performance for Bravo TV's "Odd Mom Out." At Yale, Solon has music directed, composed, performed in, and/or played piano or cello for dozens of productions, and he is currently writing libretto, lyrics, and music for another original musical to be put up at Yale in Fall 2017. 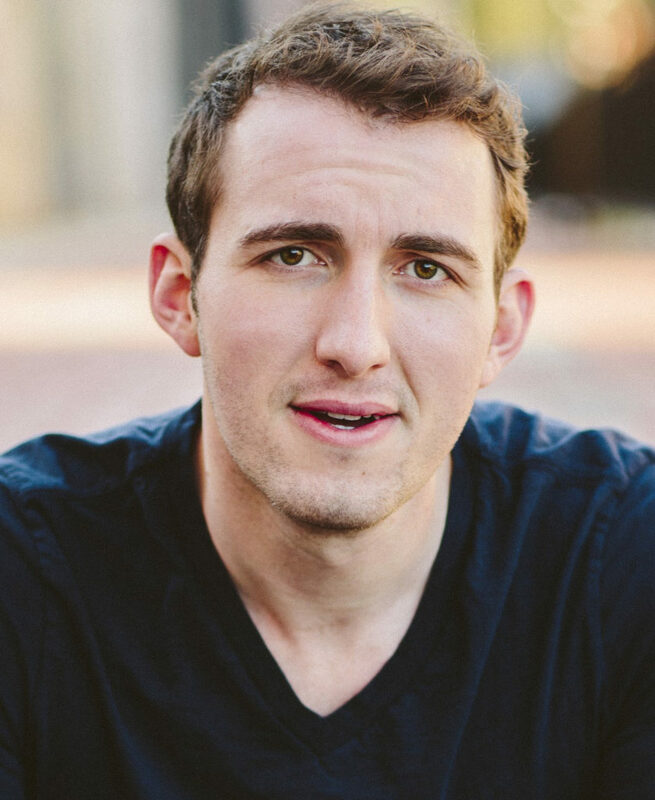 He has taken classes through Yale's Shen Curriculum for musical theatre with Broadway talents such as Jeanine Tesori, Marsha Norman, Michael Korie, Johsua Rosenblum, and Jeffrey Klitz. After music directing the a cappella group "The Duke's Men of Yale" last year, Solon will be taking next year off of school to travel to 40+ countries as the musical director of the America's oldest collegiate a cappella group, The Yale Whiffenpoofs. EMILY WOODS (Beth/Acting Intern) is a rising junior Musical Theatre major at SUNY Cortland, originally from Staten Island, NY. She is thrilled to be a part of Infinity Theatre Company, which is her professional debut! Emily has recently been seen as Celeste 2/Elaine in SUNDAY IN THE PARK WITH GEORGE, and a member of the tribe of HAIR at SUNY Cortland. Other favorite credits include: JEKYLL & HYDE (Emma), ONCE UPON A MATTRESS (Winnifred), ANYTHING GOES (Reno), and AIDA (Amneris). Emily would like to thank her family for their love and support, and she would like to thank the incredible team at Infinity Theatre for this incredible opportunity. ALAN OSTROFF (Director) began his career as a performer, working regionally in roles including Jesus in SUPERSTAR, Motel in FIDDLER, Riff in WEST SIDE, and the starring role in a comedy he wrote and produced, TRADITION (NYC Fringe 2006). He directed the drama SOCIAL WORK for the 2007 Manhattan Repertory Summerfest, and cabaret benefits for Arts For All in NYC. He is the writer of three children's shows produced in Annapolis and New York. BFA, Drama, NYU Tisch. AMY JONES (Musical Director) is a director, choreographer and musical director. Most recently, Amy has provided choreography for Broadway Backwards 8 and 9 at the Hirschfeld Theatre and Palace Theatre (Broadway), served as the musical supervisor for TEXAS IN PARIS at the York Theatre in NYC, directed/musical directed RING OF FIRE at Infinity Theatre last season, and Directed/Choreographed GYPSY at Flat Rock Playhouse. Amy has provided dramaturgy for the new musicals ALICE, WARSAW, and JUNK: A ROCK OPERA. Proud member of AEA and SDC. DIANA CHUN (Scenic Design) is excited to join The Infinity Theatre Company as a Scenic designer for her first season. Design credits include SWEET WORDS HOUSE (New Vision/ New Voices) as Visual Dramaturg at Kennedy Center, NYAM CHEIM, OCTAVIA’S BROOD and BALTIMORE at University of Maryland and REGINA with Maryland Opera Studio. MARY’S WEDDING (Playmaker’s Rep, Assistant), ROSENCRANTZ AND GUILDENSTERN ARE DEAD (Washington State University). KRISTINA MARIE MARTIN (Costume Design/Wardrobe Supervisor) is returning for her second year with Infinity. She joined the company Summer 2015 as their Wardrobe Supervisor. A 2014 Theatre graduate from The College of William and Mary, she worked as the Wardrobe Supervisor from 2012- 2014. She has also worked with the Virginia Shakespeare Festival on JULIUS CAESAR and ILLYRIA. In August 2014, she moved to the DC are to take a job as the Resident Costume Designer for the NextStop Theatre Company in Herndon, VA. Since then she has designed MISS ELECTRICITY, SYLVIA, CHARLIE BROWN CHRISTMAS, GUTENBERG!, LOVE, LOSS, AND WHAT I WORE, THE SECRET GARDEN, A MAN FOR ALL SEASON, ALADDIN, KISS ME KATE, NO SPRING CHICKEN, DEATHTRAP, SEUSSICAL, MIDDLETOWN, CRIMES OF THE HEART, SNOW WHITE, and CITY OF ANGELS. She has also worked on productions with Shakespeare Theatre Company, Silver Spring Stage, Studio Theatre, Theatre Prometheus, bel Cantanti Opera Company, and Forum Theatre Company. WES SHIPPEE (Sound Design/Engineer) is an NYU graduate and Drama Desk-nominated sound designer, audio engineer, and musician. Notable projects include the Radio City Christmas spectacular and ten years of work with RadioTheatre NYC, garnering multiple New York Innovative Theatre awards. Wes returns this year for his seventh season with Infinity. For more information, visit www.wes.sh. KRISTIN LOUGHRY* (Production Stage Manager) is thrilled to be returning to Annapolis after last summer’s RING OF FIRE with Infinity! She spends most of the year in New York City. Previous credits include PITBULLS (Rattlestick Playwrights Theatre), BILL W. AND DR. BOB (Soho Playhouse), IN TRANSIT (Primary Stages), THE NUTCRACKER (Gelsey Kirkland Ballet), THE ONLY GIRL (Light Opera of New York), A ROCKIN’ MIDSUMMER NIGHT’S DREAM (12.14 Foundation), HOW TO BREAK (National Theatret in Oslo), three seasons with the Hangar Theatre in Ithaca, NY and five seasons with NYU’s Grad Acting program. Proud graduate of Ithaca College. STACEY SHADE* (Assistant Stage Manager) is excited to be joining Infinity Theatre for the first time. She is a soprano with The American Military Spouses Choir, managed by C.A.M.M.O. (the Center for American Military Music Opportunity). She also directs with THE TELLING PROJECT, a national theater company producing veteran testimonial plays to bridge the divide between civilians and military families. Her latest, TELLING: SAN ANTONIO, was featured on PBS. 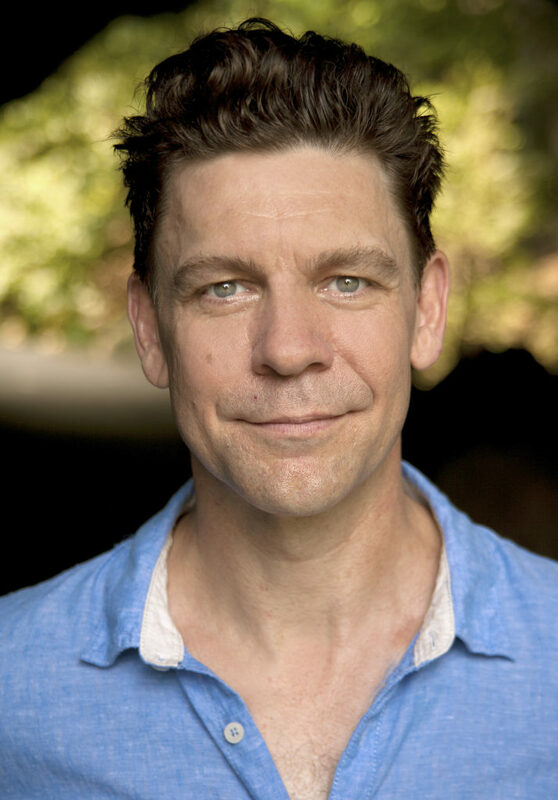 Previous stage management credits include MRS. FARNSWORTH, TWO BY PINTER (Rep Stage), ROSENCRANTZ AND GUILDENSTERN ARE DEAD, ALL’S WELL THAT ENDS WELL (Baltimore Shakespeare Festival), PURGE (Scena Theater). She is a proud member of Actors’ Equity and graduate of University of Maryland. CAROL A. SULLIVAN* (Production Management Consultant/Assistant Stage Manager) returns to Annapolis for a fun summer of musicals that compliment her credits that include Broadway, Off-Broadway both coasts and other continents. In addition to production work, she teaches Technical Theatre Workshops as adjunct faculty at Lehman College/CUNY; is Production Coordinator at JCC Maccabi Artsfest. Annual events for MCC Theater (MISCAST), 1st Irish Festival/Origin Theatre along with various shows, festivals and readings create the free-lance adventure that is every theatrical journeyman’s quest. Infinity Theatre Co: Equity Stage Manager 2012-2015: DAMES AT SEA, ALWAYS, PATSY CLINE, SHE LOVES ME, HANK WILLIAMS: LOST HIGHWAY, I DO! I DO! Production Manager 2015: RING OF FIRE and BABY. 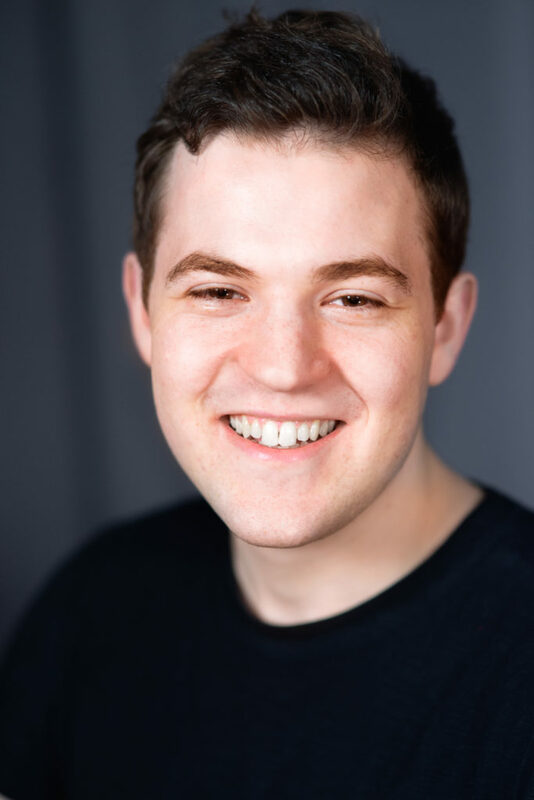 JOSH DEBERNARDI (Technical Director) is happy to return for his 5th consecutive season at Infinity Theatre Company. He is spending this summer on hiatus from his tour with ONCE as the Head Carpenter. Past shows include: Elf: The Musical (NETworks), Macbeth (MSM), Tis a Pity... (Red Bull Theater), The Nether (MCC), as well as over a dozen shows at Weston Playhouse. He also freelances around NYC doing lighting and carpentry for theater, dance, events, window installations, etc. He would love to thank his family, friends, Alan and Anna for their unrelenting support and endless opportunities. NATHAN HAWKINS (Master Electrician), a native of California, BFA The Pennsylvania State University, where productions include the lighting designer for THE UNIVERSITY DANCE CONCERT, O BEAUTIFUL, BLOOD AT THE ROOT (and at The National Black Theatre), assistant designer for JULIUS CAESAR, INTO THE WOODS and DOUBT: A PARABLE. This is Nathan’s 3rd year with Infinity where he has been the master electrician for RING OF FIRE, BABY, HANK WILLIAMS: LOST HIGHWAY and I DO! I DO! as well as the lighting designer for THE EMPEROR’S NEW CLOTHES and JACK VS. RAPUNZEL: THE MUSICAL. Nathan is currently working in the DC area as a freelance lighting designer and electrician. Online at hawkinslighting.net. HEATHER BURTON (Assistant Stage Manager/Stage Management Intern) is a recent graduate from Binghamton University with a B.A. in Theatre with a Design/Tech emphasis. 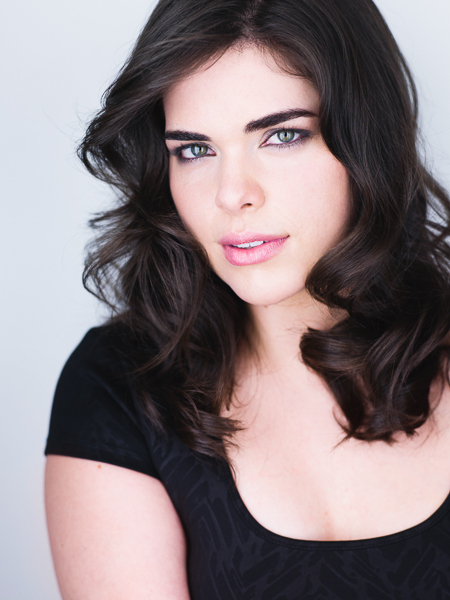 At Binghamton, she Stage Managed SPRING AWAKENING, IMPULSE and ORPHEUS. She has also Assistant Stage Managed A CHORUS LINE, ANNE BOLEYN and RENT. She is currently the touring Stage Manager for GALUMPHA. MICHAEL CHERRY (Assistant Technical Director/Technical Intern) is a George Mason University student pursuing a BA in Theater, specializing in Stage Management. Shows at Mason include CLOUD 9 and A BRIGHT NEW BOISE. Previous shows at Broad Run High School include SWEENEY TODD and SUITE SURRENDER, Technical Director; THE FANTASTICKS and THE CRUCIBLE, Stage Management. CHRIS KARABELAS (Fluke/Drummer) is a current commercial percussion major at Belmont University in Nashville, TN, and is excited to be joining Infi nity again for another show-packed summer. As a working percussionist and drumset player, he has performed with Dynamo (R&B/Funk/Soul band out of Nashville, TN), Danny Gottlieb (Pat Metheny Group), and Beth Gottlieb (Disney legend) to name a few. At Belmont he has played with the University’s top Jazz Ensemble, Classical Percussion Ensemble, World Percussion Ensemble, PHNX, and Jazzmin. After playing drumset and percussion for Infi nity’s run of RING OF FIRE, Chris is ecstatic to be back playing percussion and drum set for both ALMOST HEAVEN and MILLION DOLLAR QUARTET. 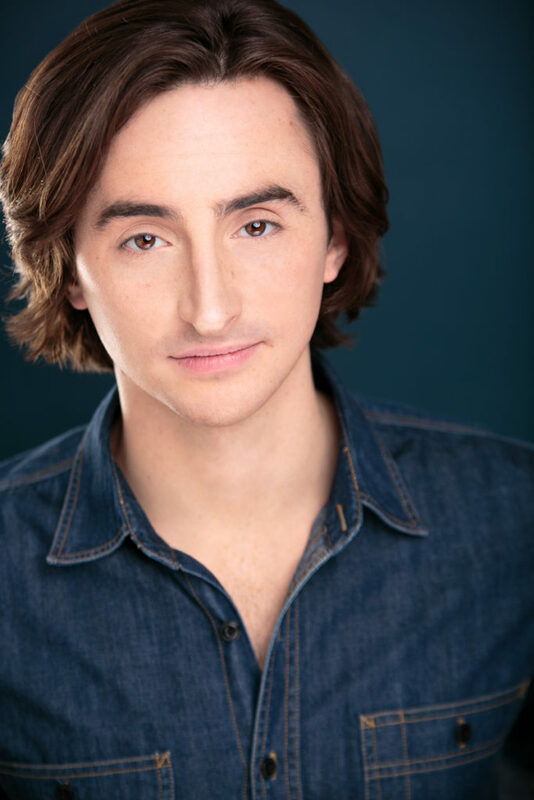 JP COLETTA (Production Assistant/Acting Intern) is elated to be making his Infinity debut this summer! 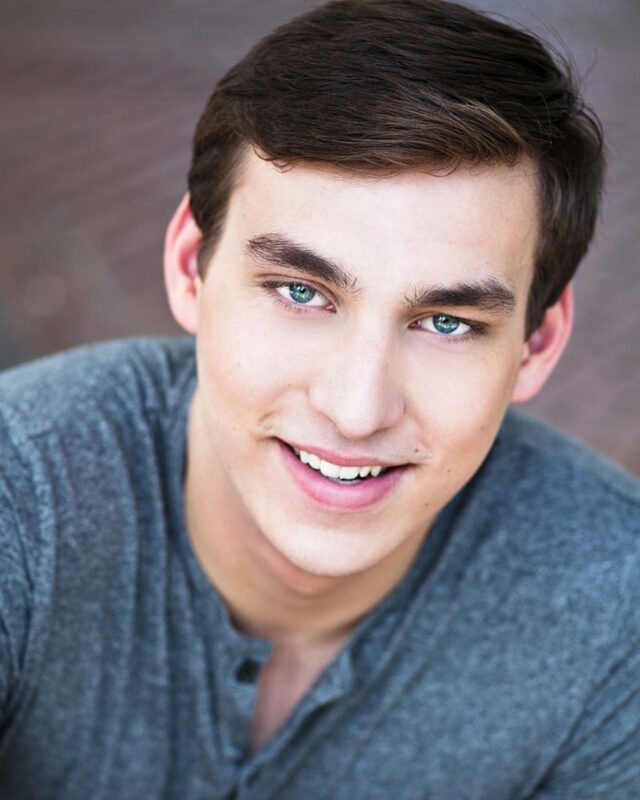 JP is currently a rising junior at the Boston Conservatory, pursuing a BFA in Musical Theatre. Regional Credits: THE SOUND OF MUSIC and A MUSICAL CHRISTMAS CAROL (PCLO), JESUS CHRIST SUPERSTAR and WHITE CHIRSTMAS (LPPAC). Other Favorite Credits: LITTLE SHOP OF HORRORS (Seymour), SWEENEY TODD (Tobias), COLUMBINUS (Freak/Eric Harris), GODSPELL (All Good Gifts), and THE SECRET GARDEN (Dickon). In addition to acting JP is also a pianist, composer, arranger, and musical director. Most proudly, he is currently is the resident music director and pianist for The Boston Conservatory Cabaret, an outreach group that performs for elderly and underprivileged citizens of Boston. Many thanks to the Infinity Team for giving him this opportunity, and many thanks to his family for their constant support. 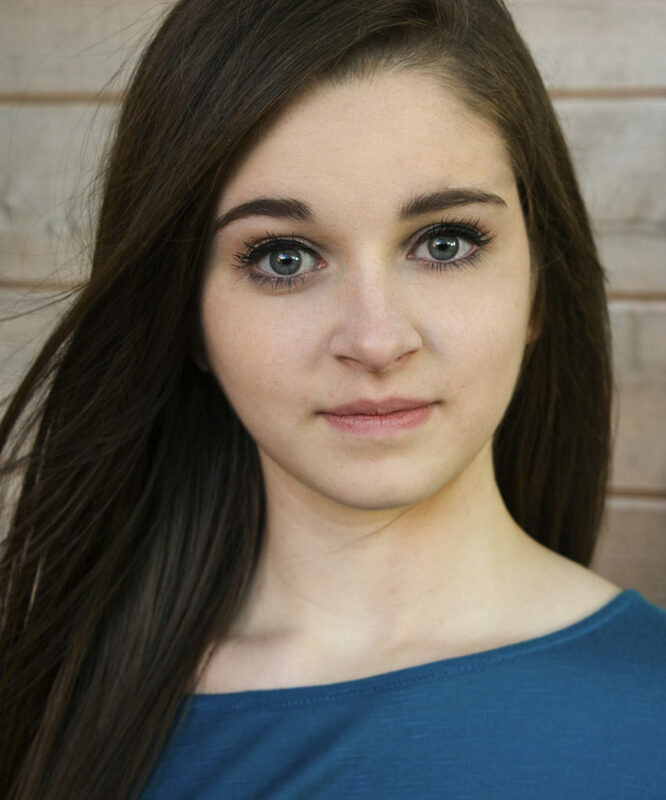 Love to Mom, Dad, Brandon, Kyle, Alyssa, and Baby S.
BELLA MULLER (Production Assistant/Acting Intern) is a Junior BFA Musical Theatre student at CAP21/Molloy College and is so thrilled to be making her Infinity Theatre Company debut! Over the past ten years she has appeared in over 70 theatrical productions in New York and the Southeast Region. Bella recently sang alongside Howard McGillin in BROADWAY'S BRITISH INVASION at the Madison Theatre. She also originated the role of the ‘Queen of Hearts’ in the New York premiere of ALICE - LOST IN MY WONDERLAND, directed by Baayork Lee. Previous credits include: SCHOOLHOUSE ROCK, LIVE! JR. (Dina – Southeast Tour), GREASE (Sandy), ALL SHOOK UP (Natalie), HAIRSPRAY (Amber von Tussle), IVY & BEAN (Ivy), and STATE FAIR (Margy Frake). She has appeared in many film and television series including ABC’s THE MIDDLE. Currently she can be seen in print and television ads for Universal Studios and Walt Disney World. She is ever so thankful for the fabulous creative team and cast, Mom, Dad, Clayton, and God. Enjoy the show!